She has over 33 years of research, teaching and industrial experience. 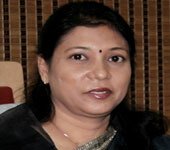 She acquired her Ph.D. in Electronics Engineering from Maulana Ajad National Institute of Technology, Bhopal (M.P.) in 1996. Bagged Young Scientist Award in 1989 for the best research paper in engineering section and also received the Best Teacher award in the year 2000. She has several Technical Papers and articles to her credit during her work span as Lecturer, Reader, Professor in various AICTE approved Technical Institutions. As an excellent orator and anchor, she has been associated in organizing, convening and conducting many national Symposiums, Workshops, Seminars and Conferences. She has proved her versatile personality in the capacity of Faculty Advisor, Coordinator and Prof-in-Charge for ALUMNI Association, Quality Circle, Centre for Creativity and Innovation, Teaching Methodology and publication of Annual Magazine as well, along with the cultural activities. Further she is nominated as a member, Academic Council, CSVTU, Bhilai. Other than these, she actively involved herself in Rehabilitation of female prisoners and their children, Upliftment of third gender, training for blind and physically handicapped, organized various Awareness programs in schools and colleges with Police Officers, adopted few villages for their overall development and she is also associated with Old Age Homes. 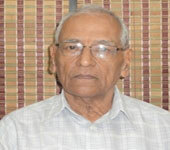 Prof. S.K.Tiwari has more than 50 years of vast experience in engineering education & research. He is a Mechanical Engg graduate from Sagar University and MS (Design) from Mc Master University, Canada. Professor Tiwari has been associated with engineering education & research not only in India but also in CANADA & MIDDLE EAST. He has expertise in Design fabrication of equipments for Mechanical Engineering Labs and been instrumental in setting up various mechanical engineering labs in Government as well as private colleges of Chhattisgarh. He has vast experience of 44 years Industrial & Consultancy and 22 years of teaching in Government Engineering college and various other engineering colleges of the state. He is a consulting Civil Engineer since last 25 years. He has completed his M.Tech. Civil Engg. 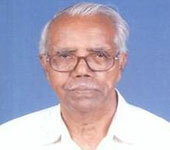 with specialization in Highway Engineering from IIT, Kharagpur in 1963. He has designed the structure of Raj Bhavan, Raipur, Samvad Bhavan, Lal Ganga Mansion, Jairam Complex, Hotel Piccadilly, Shahid Smarak Bhawan, Raipur and many other prominent structures in Chhattisgarh and M.P. He has provided his expertise in many foreign countries viz., Tanzania, Kenya, Egypt (UAR), Greece, Yugoslavia, Austria, Germany, Netherlands, England, France, Switzerland, Italy, Libya etc. He is a Masters degree holder in Hydraulic and Dam Engg from Poona University. 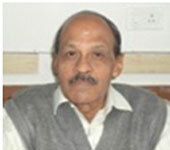 He has worked in various capacities as Lecturer, Reader, Professor of Civil Engineering in Government Engineering College, Raipur (Now NIT), Department of Technical Education, Chhattisgarh Government and other engineering colleges in Raipur in a span of over 48 years of splendid teaching career. He also guided several M.E./M.Tech. students during his tenure. He acquired his master’s degree in Civil Engg., with specialization in Geotechnical Engineering (Soil Mechanics & Foundation Engg.) from IIT, Bombay. 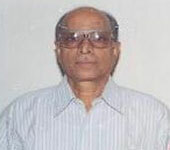 He has over 42 years of enormous teaching experience in various capacities as Lecturer, Reader and Professor of Civil Engineering in Government Engineering College, Raipur (Now NIT) and other engineering colleges in Raipur. He has carried out Soil Testing, Foundation Design and Project reports for several Public Sector & Private Sector organizations.